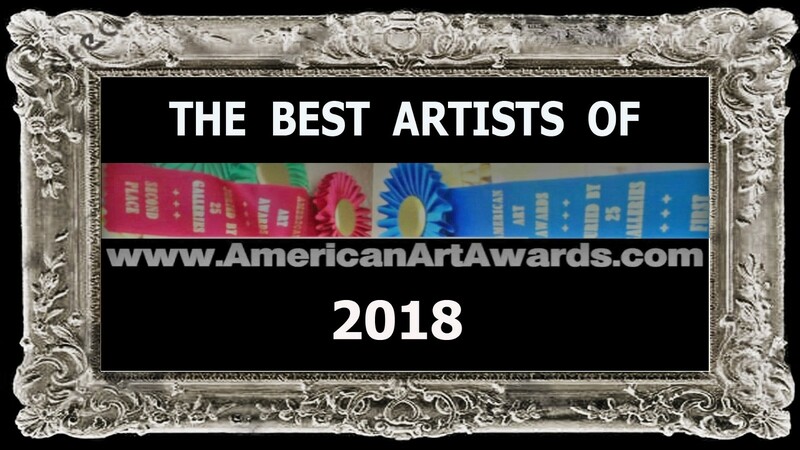 Artists from USA, Spain, Russia, Canada, Netherlands and Afghanistan take highest scores in Category 29 of the 2018 AMERICAN ART AWARDS. 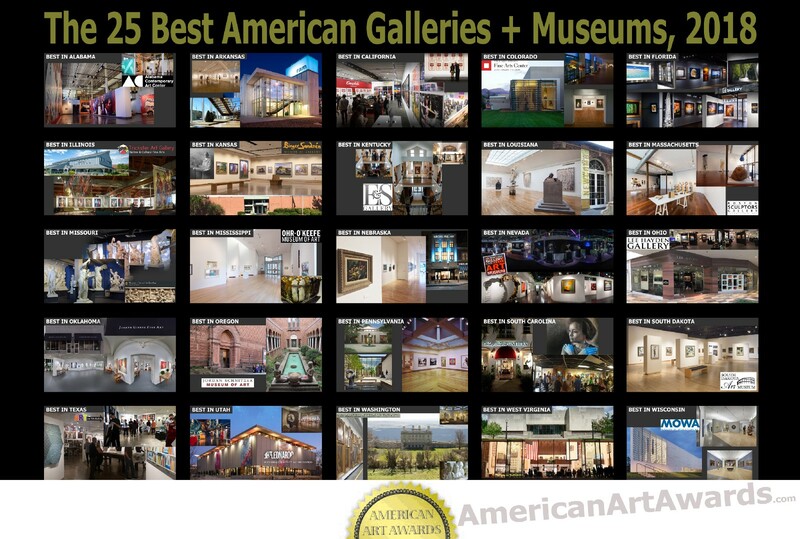 This year the American Art Awards (www.AmericanArtAwards.com), juried by the 25 Best Galleries & Museums In America (listed below), had online art images in 50 categories submitted from artists in 59 countries: Afghanistan, Argentina, Australia, Austria, Brazil, Bulgaria, Canada, China, Croatia, Czech Republic, Denmark, Egypt, El Salvador, England, Finland, France, Georgia, Germany, Ghana, Great Britain, Greece, Haiti, Iceland, India, Iran, Iraq, Ireland, Israel, Italy, Japan, Jordan, Kazakhstan, Latvia, Lithuania, Macedonia, Malaysia, Mexico, Myanmar, Netherlands, New Zealand, Nigeria, Pakistan, Philippines, Poland, Portugal, Qatar, Romania, Russia, Serbia, South Africa, South Korea, Spain, Sweden, Taiwan, UK, Ukraine, USA, Venezuela. 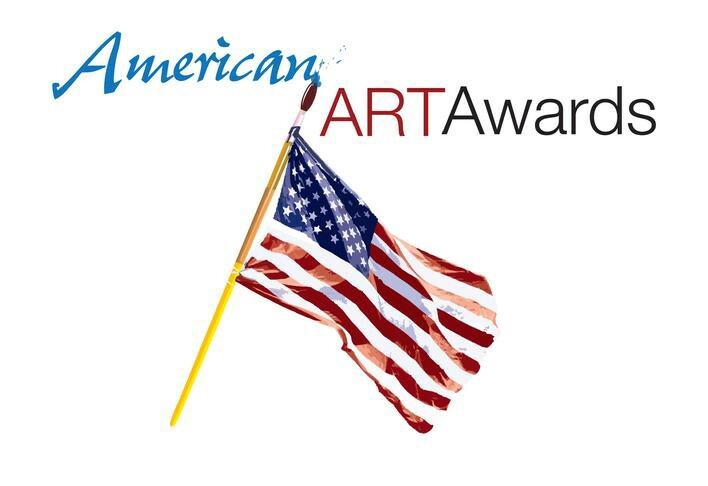 The 1st Place to 6th Place winners in all 50 categories will be revealed in the news about a category a day — stretching into November, making this one of the longest winner announcements of any art competition in the world. SELF-PORTRAIT BY 1ST PLACE WINNER, MCGARREN FLACK. McGarren Flack is a talented young artist who was introduced to art at Utah Valley University and reached artistic maturity after painting for three years. 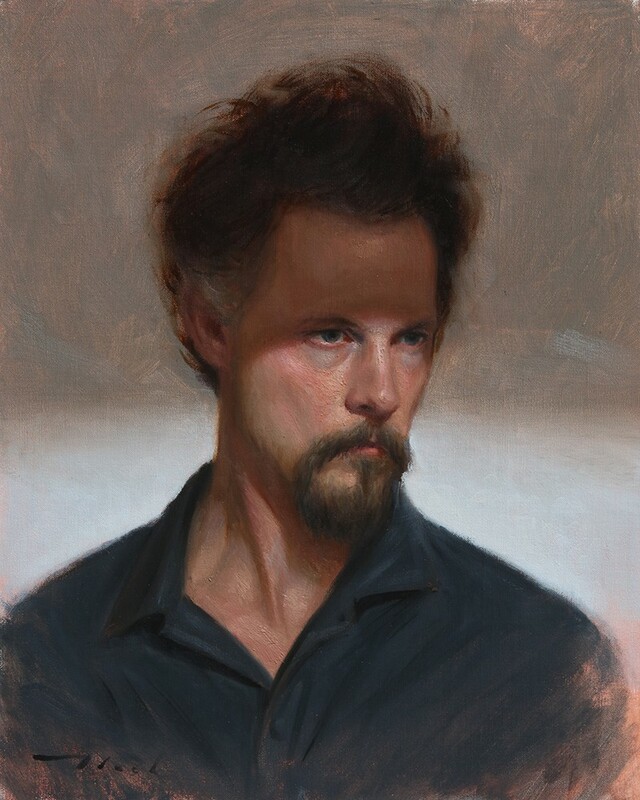 He started painting in the fall of 2002 at Brigham Young University in the Illustration program. He graduated from BYU in April of 2005. 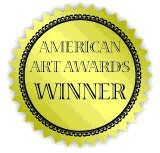 Flack was then accepted into the Masters of Fine Art program at the University of Utah and graduated April 2008. Currently he is a full time painter and is a teacher for Dixie State University. Flack’s professional interest in art started when he saw the John Singer Sargent traveling art show in Washington D.C. He was captivated with the ability Sargent had in producing a scene that came alive and at the same time painted Brava brushstrokes. Flack’s inspirations are mostly twentieth century artists like Ander Zorn, John Singer Sargent, JW Waterhouse, Carl Bloch, and P.S. Kroyer. 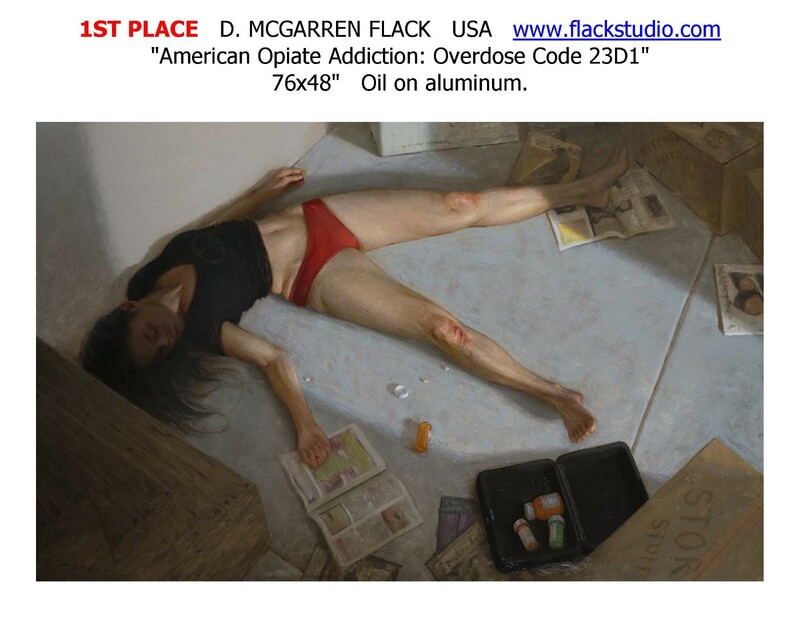 1ST PLACE D. MCGARREN FLACK USA www.flackstudio.com “American Opiate Addiction: Overdose Code 23D1” 76x48" Oil on aluminum. 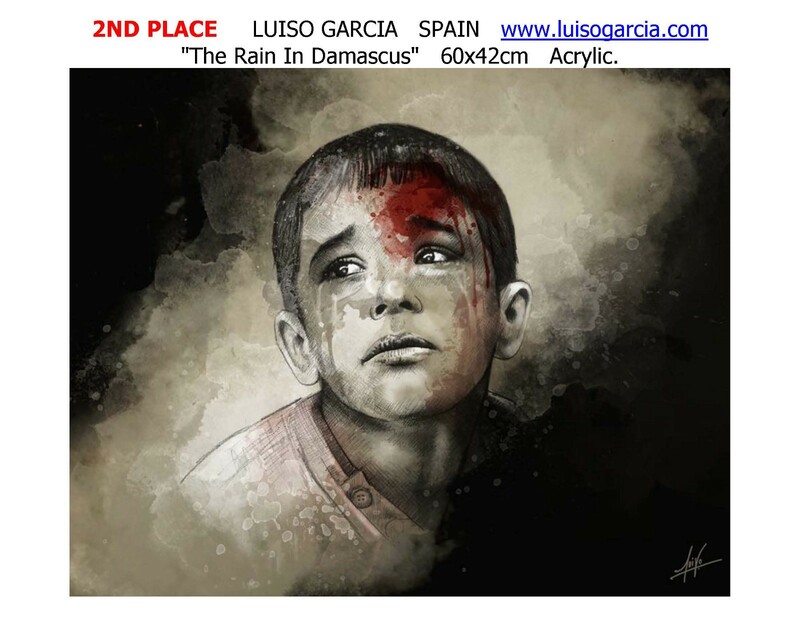 2ND PLACE LUISO GARCIA SPAIN www.luisogarcia.com “The Rain In Damascus” 60x42cm Acrylic. 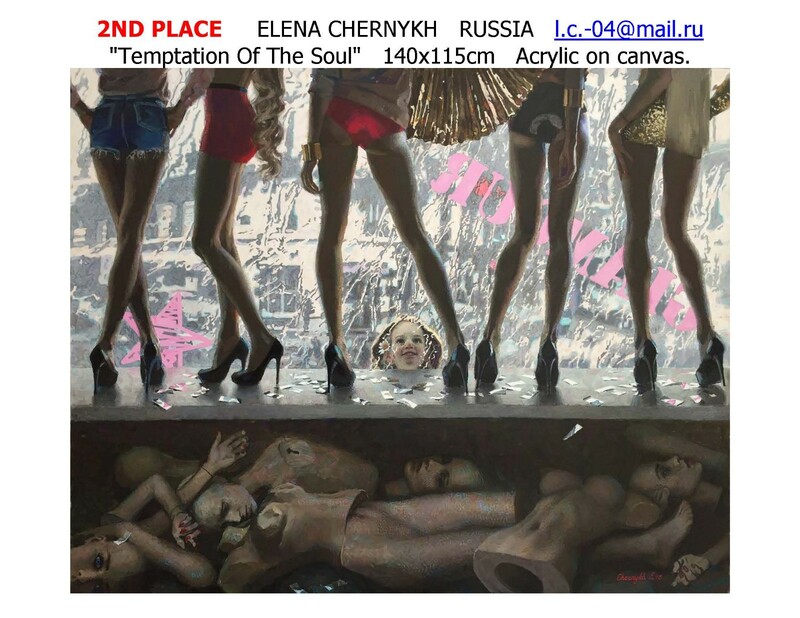 2ND PLACE ELENA CHERNYKH RUSSIA l.c.-04@mail.ru “Temptation Of The Soul” 140x115cm Acrylic on canvas. 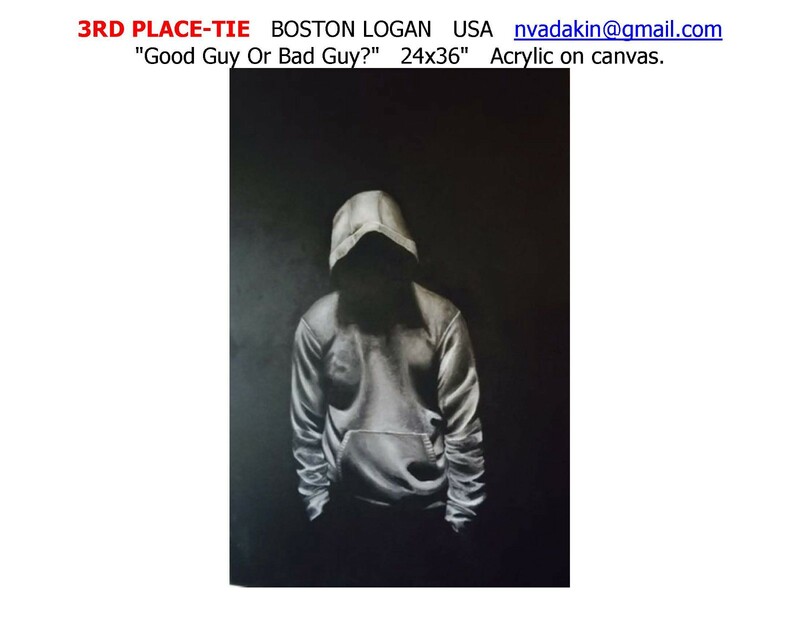 3RD PLACE-TIE BOSTON LOGAN USA nvadakin@gmail.com “Good Guy Or Bad Guy?” 24x36" Acrylic on canvas. 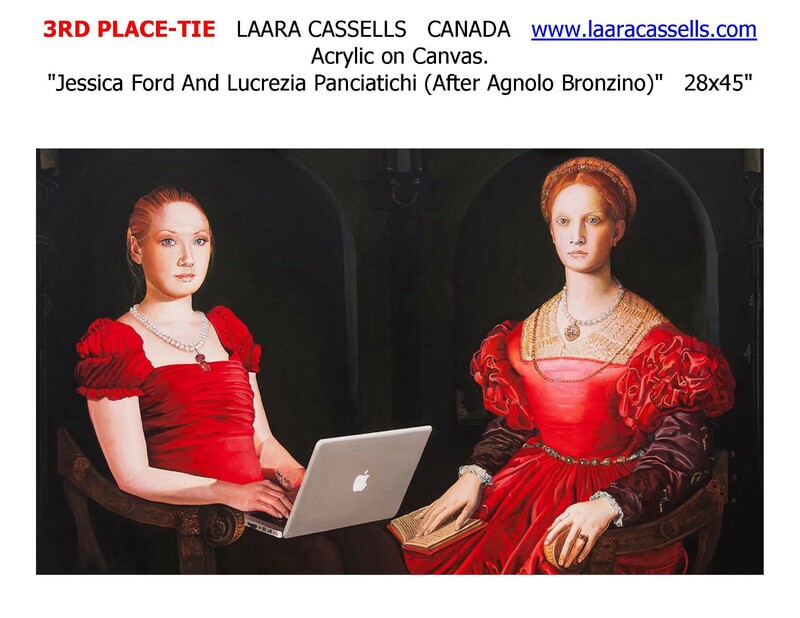 3RD PLACE-TIE LAARA CASSELLS CANADA www.laaracassells.com Acrylic on Canvas. 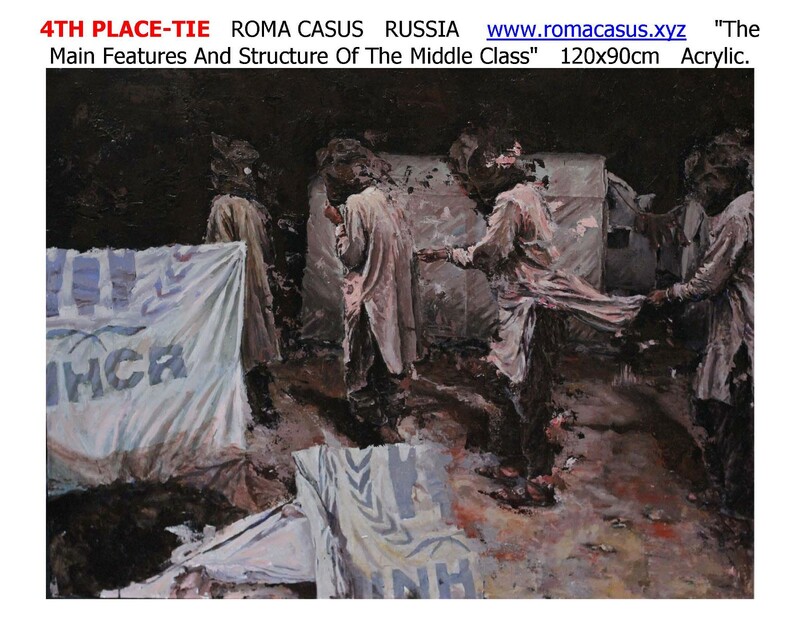 “Jessica Ford And Lucrezia Panciatichi (After Agnolo Bronzino)” 28x45"
4TH PLACE-TIE ROMA CASUS RUSSIA www.romacasus.xyz “The Main Features And Structure Of The Middle Class” 120x90cm Acrylic. 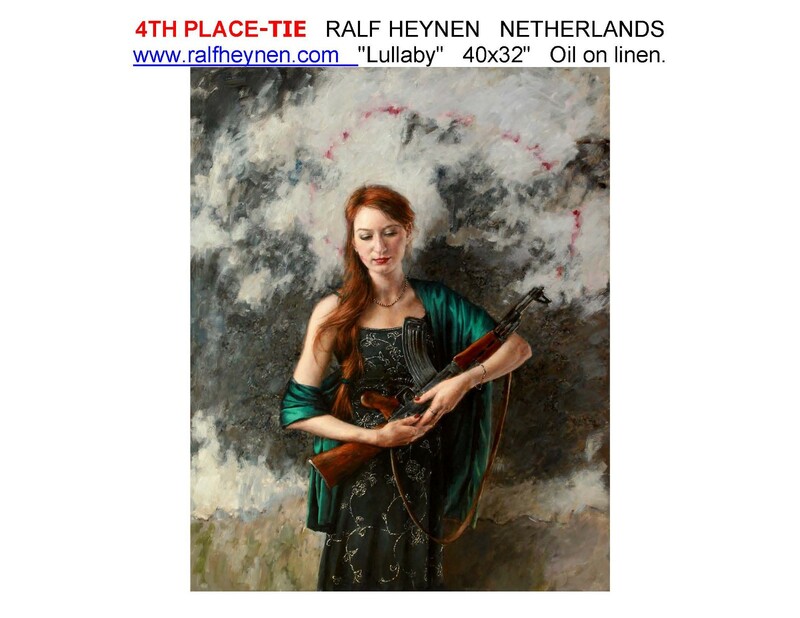 4TH PLACE-TIE RALF HEYNEN NETHERLANDS www.ralfheynen.com “Lullaby” 40x32" Oil on linen. 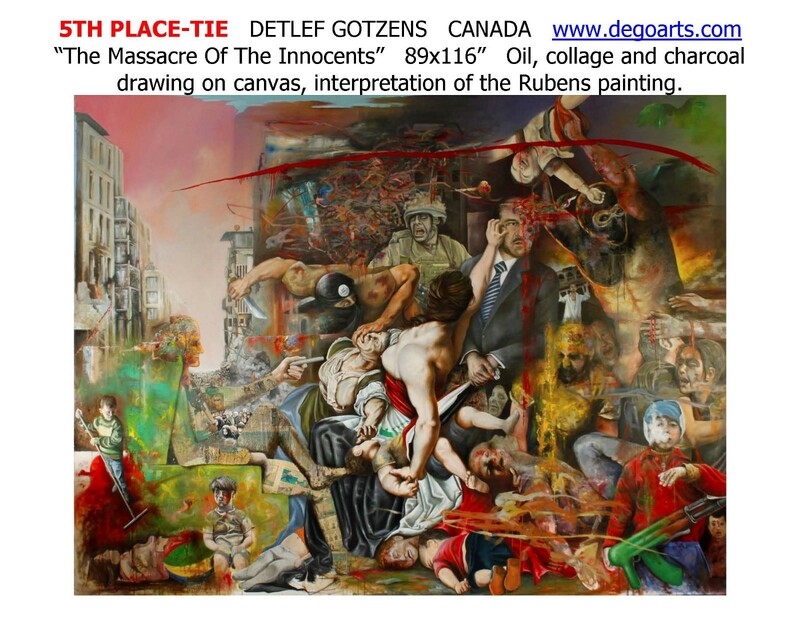 5TH PLACE-TIE DETLEF GOTZENS CANADA www.degoarts.com “The Massacre Of The Innocents” 89x116” Oil, collage and charcoal drawing on canvas, interpretation of the Rubens painting. 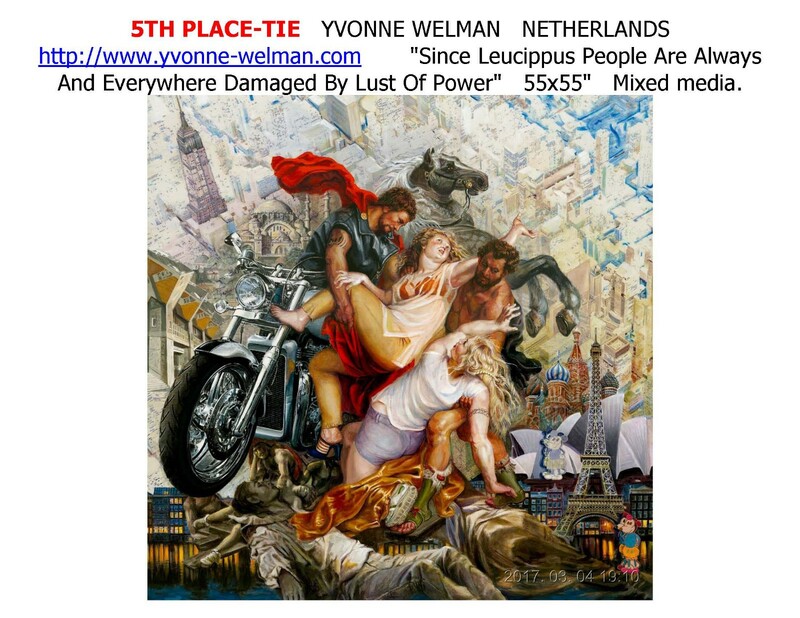 5TH PLACE-TIE YVONNE WELMAN NETHERLANDS http://www.yvonne-welman.com “Since Leucippus People Are Always And Everywhere Damaged By Lust Of Power” 55x55" Mixed media. 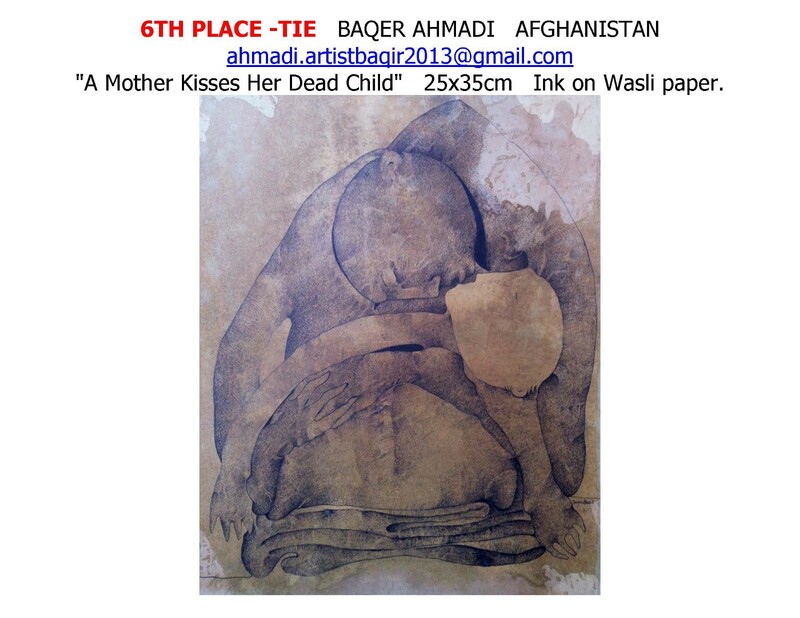 6TH PLACE -TIE BAQER AHMADI AFGHANISTAN ahmadi.artistbaqir2013@gmail.com “A Mother Kisses Her Dead Child” 25x35cm Ink on Wasli paper. 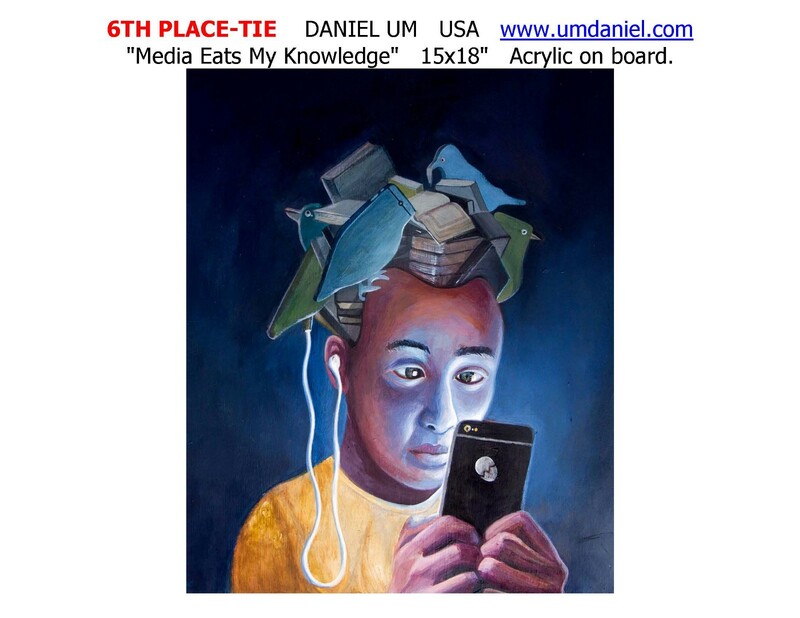 6TH PLACE-TIE DANIEL UM USA www.umdaniel.com “Media Eats My Knowledge” 15x18" Acrylic on board.